This water can be used by plants without excessive effort, so that the plant’s energy can be concentrated on growth. Therefore, soils under irrigation should always be within the RAW limit, so that pasture and crop production can be maximised. RAW is a function of the soil texture and the depth of a plants root system and is variable across soil type and species of plant. An understanding of the RAW of a particular soil, under a particular crop is essential for optimum irrigation scheduling. 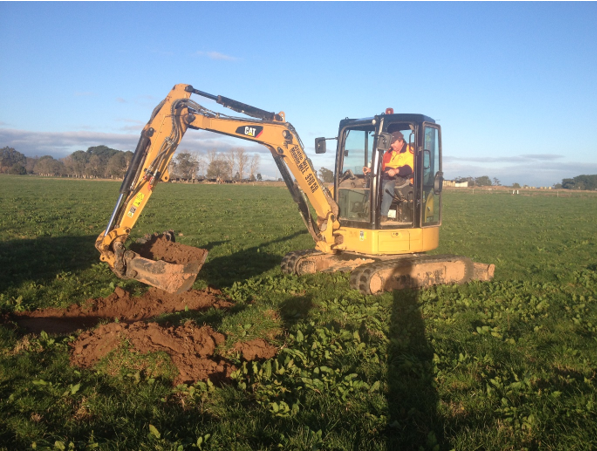 This paddock was chosen as the farm manager Mahesh Singh was having some long running issues around pasture response on this paddock, and very much wanted to investigate whether there were any soil related issues causing production limitations. A typical looking soil pit. The amount of RAW determined by the soil pit samples taken was no more than 25 mm in the top 50 cm of soil. 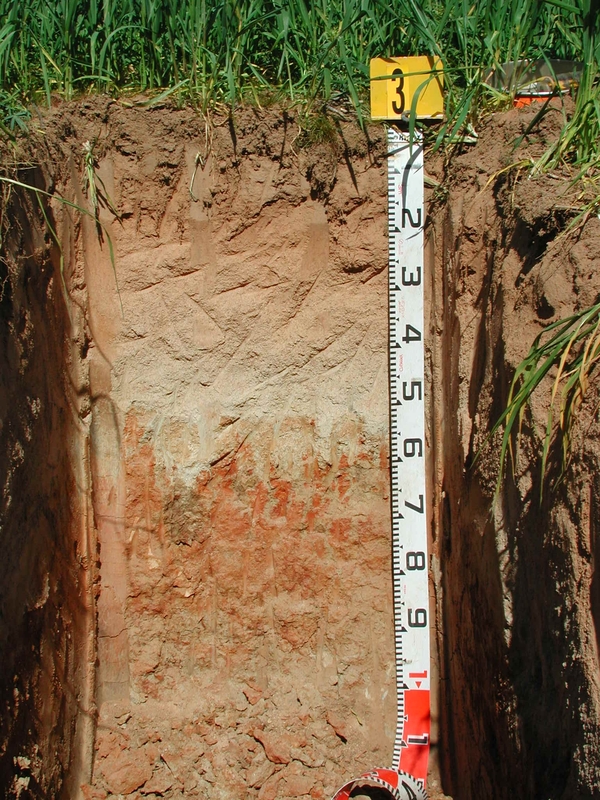 Most rye grass roots around the soil pit were observed to be in the top 30 cm of soil, so the amount of RAW available for plants in this particular paddock could be as little as 20-22 mm. In the height of summer this could mean that the flood irrigation interval is as little as 7 days, with average ETo rates of 4 mm a day and a waterlogging period (following irrigation) of 48 hours. This RAW result could mean that the irrigation frequency on this particular paddock is increased. If a decision is made to increase the irrigation frequency for this paddock, Mahesh’s water budget may need to be recalculated to reflect this. Increasing irrigation frequency could also result in increased runoff from this paddock, which would have to be considered when calculating reuse system management. Pasture response to the changed irrigation schedule should be monitored to ascertain whether the change has been effective or not. 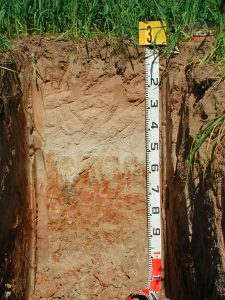 This was a result obtained from one soil pit in one portion of the paddock, so may not be representative for the Denison clay soil type in its entirety.